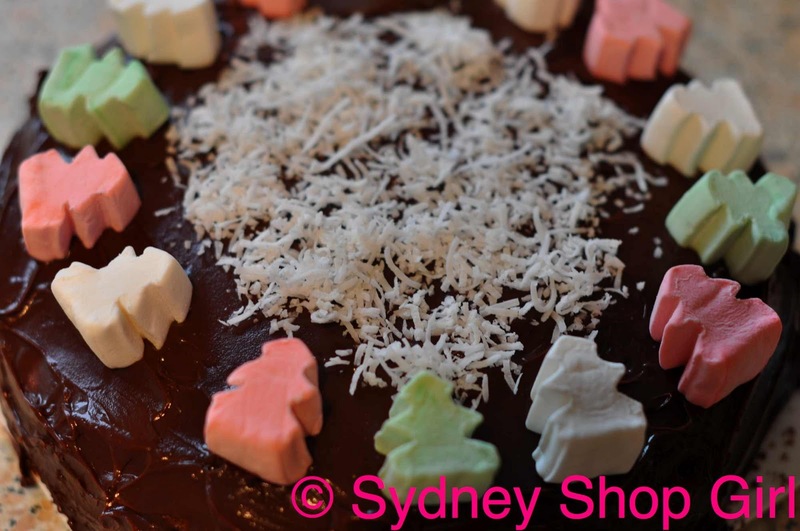 Sydney Shop Girl: Double Dessert. Double Necklaces. Surviving the Day Without Oprah. Double Dessert. Double Necklaces. Surviving the Day Without Oprah. You didn't get Oprah tickets either? Bit of a disappointment, I know. Still, we have to make our fun with what we've got. The work Christmas lunch was a resounding success. I think were all comfort eating on account of missing tickets to Oprah's show tapings 40 kilometres down the road. Besides calorific desserts, there was a barbecue going, curries, noodles and some healthy choices like salad and fresh fruit. Due to doing double dessert today, I had no room for the healthy tick options. This is a picture of my contribution, the Double Chocolate Mocha Trifle recipe from my window into North American home cooking, allrecipes.com. Poring over the recipes and reading the comments transports me into a different culture. It's especially fun during the festive season. Do those tree shaped marshmallows look familiar? They are the very same ones from Coles that decorated my chocolate coconut cake a few weeks ago. Here's an attempt at a trifle layer shot. I don't layer well, I'm afraid. Both in trifle making and with clothes. 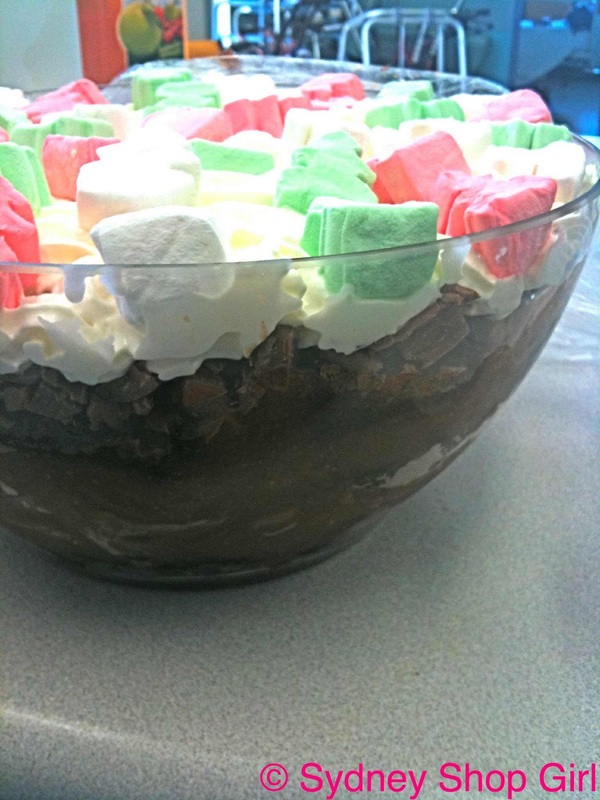 Double Chocolate Mocha Trifle on location at work. Okay, I need a break from food for a minute. All that sugar from Double Dessert is still coursing through my veins. While my endogenous supplies of insulin attempt to cope, here's what I wore yesterday. Dress - David Lawrence, necklaces - the white Coco and the Lady Melbourne from Red Phoenix Emporium. Willow and Lotus, I am embracing the double strand necklace for day like there's no tomorrow. I know it's firmly entrenched in the fashion consciousness in Brisbane but Sydney is a little slow on the uptake. If only I'd been at Oprah. The message would have spread for sure. 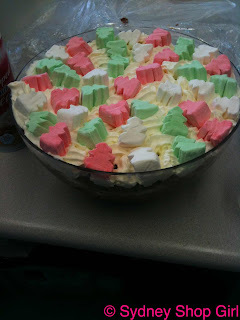 Speaking of fun, these are my photographic highlights of Monday Night Trifle Making. Squeezing out cup fulls (or Babushka heads) of whipped cream. Unwrapping a whole bag of Daim chocolates (from Ikea) and chopping them up. Referencing Nigella Lawson's use of a tea cup for measuring ingredients when it came time to flavour the custard/pudding layer with Kahlua. Always err on the side of a generous pour, I say. 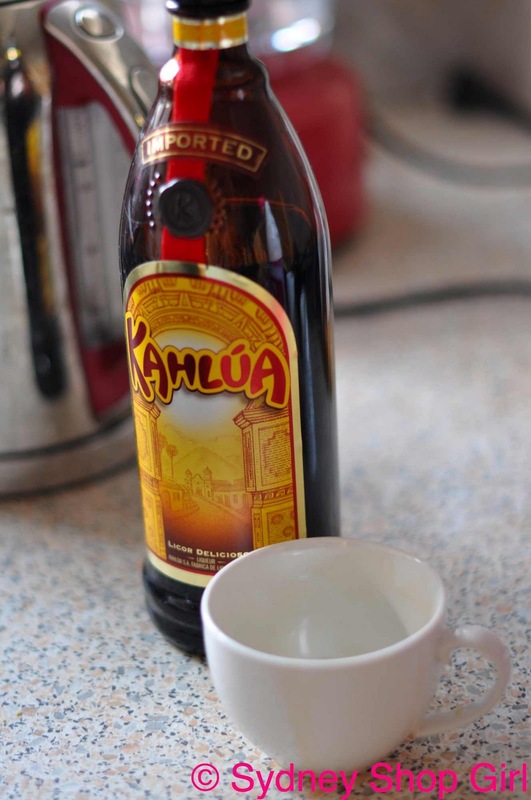 It was the height of chic at the SSG Manor kitchen bench top last night, pouring Kahlua into a china tea cup whilst wearing double necklaces. All that chopping and mixing really can make a girl hungry. Christmas baking is like that. 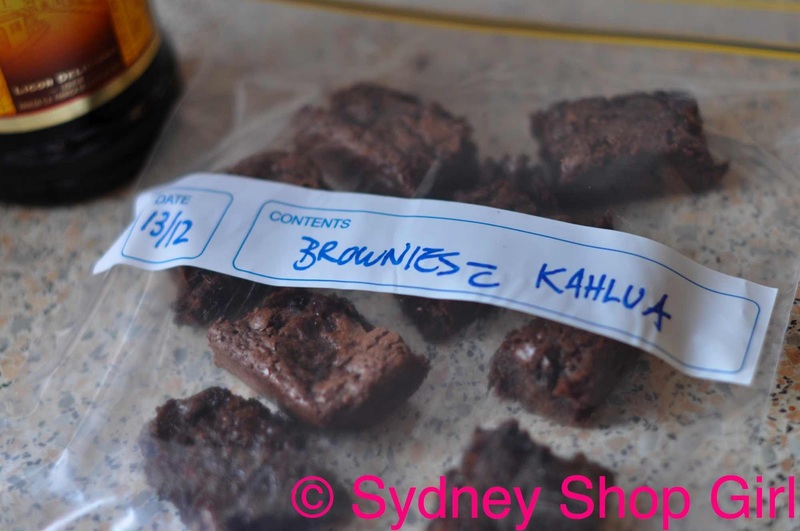 Chopped chocolate coated caramel lollies, Kahlua soaked brownies, Kahlua flavoured custard.... I really paid for it in my post Trifle Assembling yoga class last night. There was more than one reason why I couldn't suspend my seated self on my two hands. Lack of balance and weak wrists are 2 but there are more, can't think of them off hand. There were extra brownies despite my 'eat as you go' approach. They're going in the freezer for rainy day. 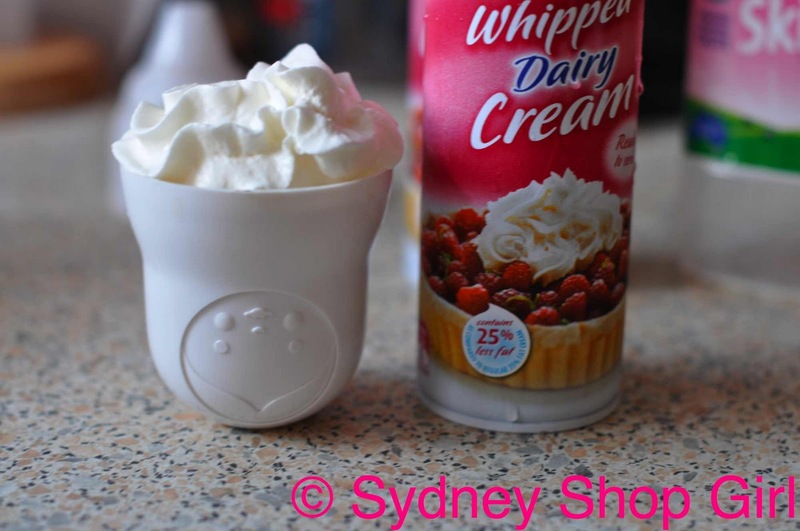 For reheating in the microwave and a topping of ice cream. 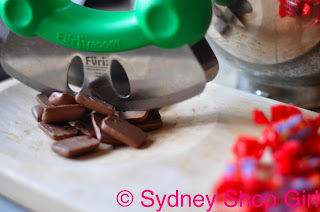 Is anyone over chocolate yet? Feeling a little giddy and clammy? Champagne is so much more forgiving to the digestive system, I feel. In further news from the very busy SSG School of Economics, it is a good year for champagne and sparkling wine from the Antipodes. Prices are very competitive and the range is great in Australia at present. Time for more clothes and necklaces. Today I thought of Oprah and how I wasn't going to be there. Faux Fuchsia, I held my head high, Carried On and Frocked Up all the same. 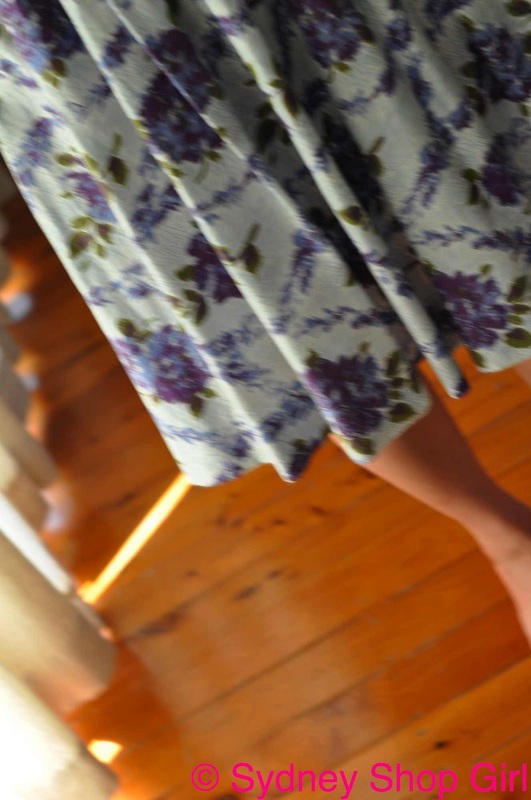 Dress - vintage from American Rag in Melbourne, necklaces - FF Leo and and white Coco from RPE. I've only worn my 2 toned Fademy from Mr SF but I think they are going to do very well in the cost per wear stakes. So comfortable already! For shoe with patent bits. Genius. After all the excitement of today, I've had a calming few hours applying leather care to the bone bits of my shoes and the whole handbag. Then I removed the scuffs (I'm clumsy on my feet) from the patent tips with some vaseline. It really does work!! Good as new. I think a calming dinner is in order too. Mee Goreng, bok choy and some leftover chicken for protein. Might have to find Mr SSG too. He was in Newcastle today and I last saw him in a taxi rather early this morning. I love the floral dress. So nanna, so pretty. Trifle looks amazing. Well done you! Lotus & Willow: high praise indeed, regarding the ba-na-nas. Does everyone male identify with and cheer on Rodger? Mr SSG watches the Rachel Zoe Project specifically for his comments. AFW: we should do regular 'Nanna Style' posts. Between us, I think we'll be able to do it in style. Love everything about this post SSG! Love the dresses, the necklaces, the chocolate, the shoes, the marshmallow trees... everything. Wow!!! I love the dress. And the trifle looks amazing. 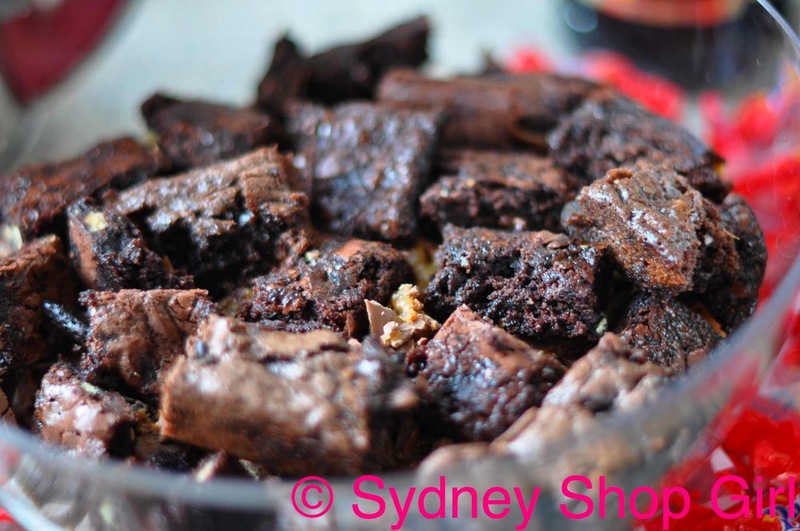 I like how you have frozen the brownies too. your food pictures are making my mouth water!! mmm, you are such the baker! and i love the pearl necklace with your outfit. adds an instant air of class to the look! Love the double strand necklaces and THAT TRIFLE ....omg! 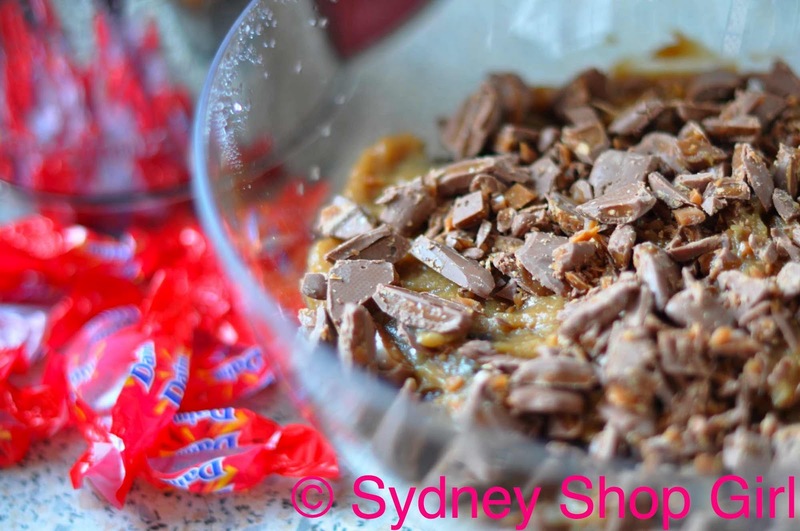 Who would have thunk it - brownies in a trifle? But I bet it works fabulously. Particularly with the Kahlua. Ruby's Raiser: thank you for stopping by! Shannon: thank you, didn't know you are a Perthie too! 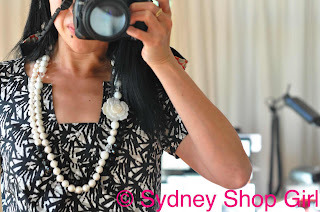 kileen: I'm loving pearls at the moment.